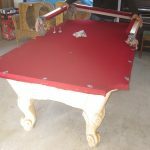 Here’s an old seven foot Olhausen from the late 80’s. 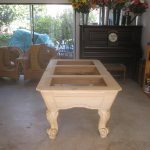 This white washed oak pool table used to belong to the owner of Allen Cadillac. 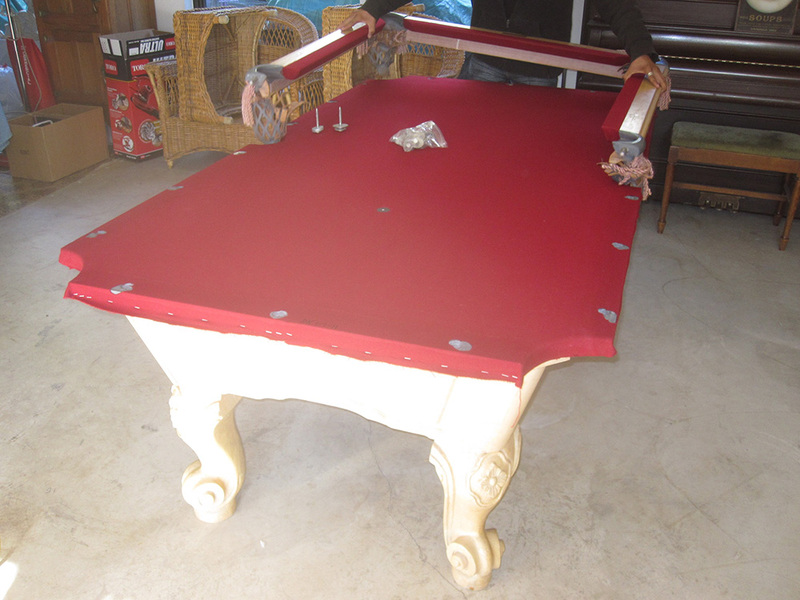 It was his personal pool table, he then passed it down to his son. 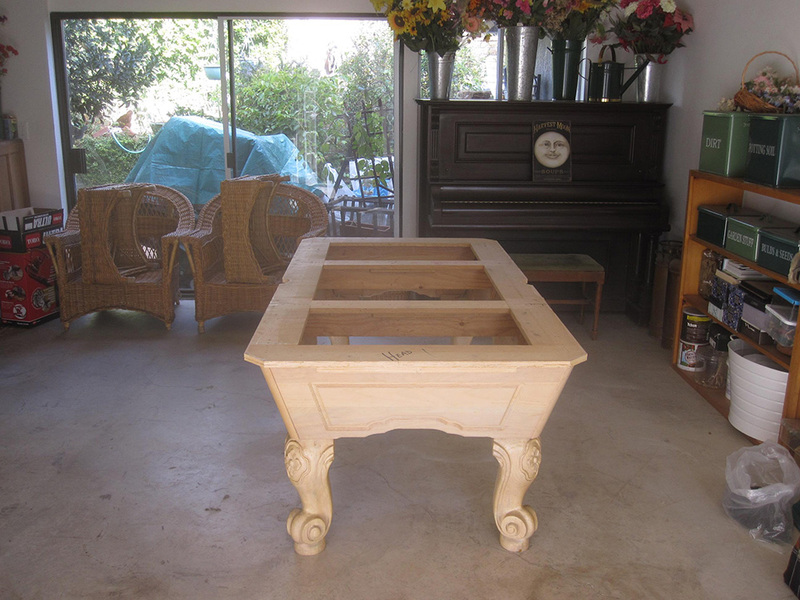 This Olhausen was formerly located in the son’s San Juan Capistrano basement. Where it endured many, many parties. 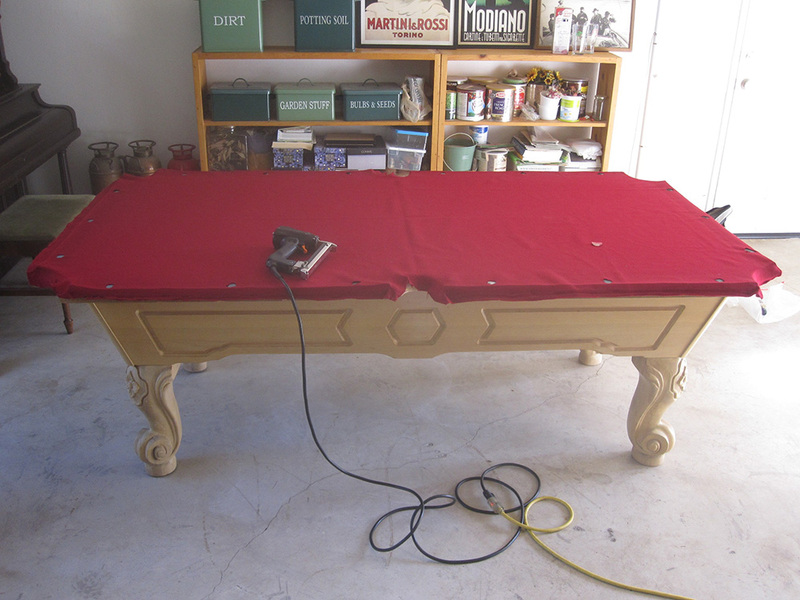 The time had come to reconfigure the basement and the pool table was out of the equation. The basement was slated to become a media room. 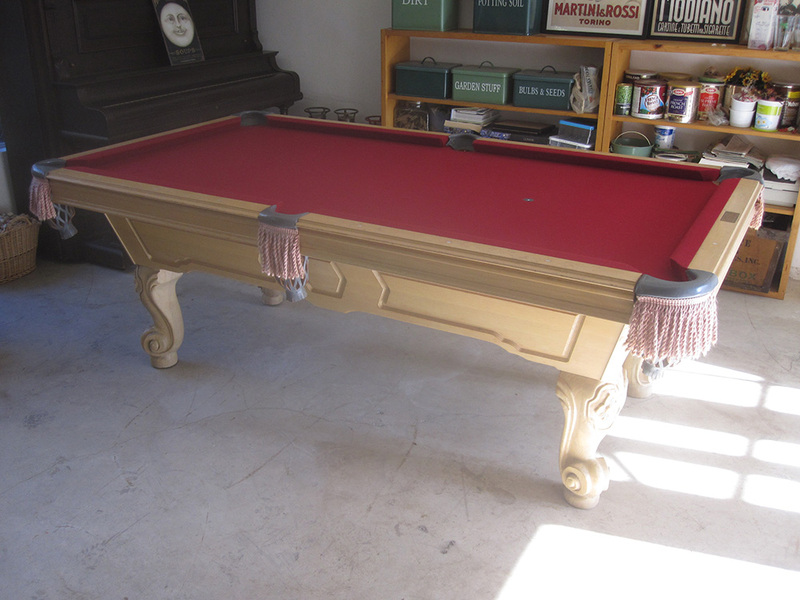 So our client, the third generation Cadillac dealer decided to give this well loved pool table to his son’s boyhood friend. This seven footer had been man-handled in it’s two decade plus existence. 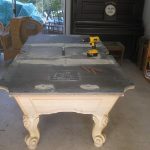 Three out of four of the leg mounts had broken away from the sides of the cabinet which caused the whole pool table to sway when leaned on. 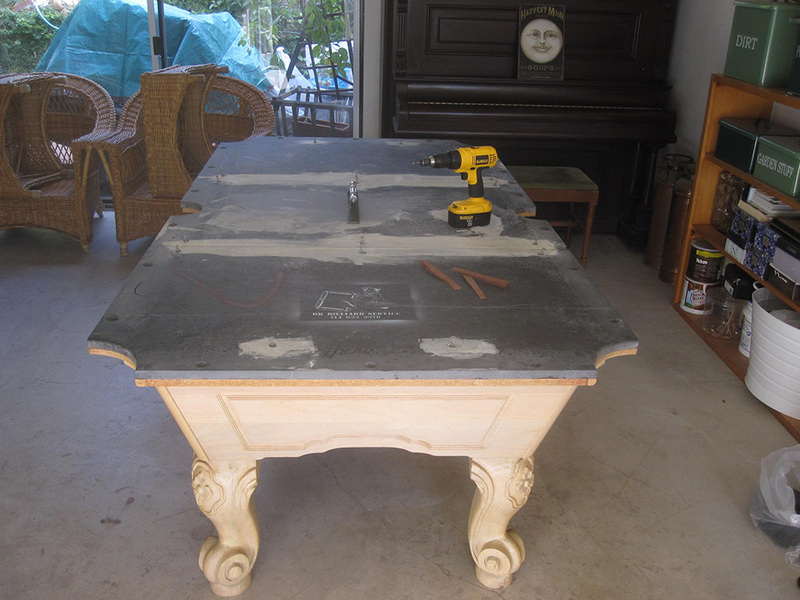 We were able to repair the mounts with some wood glue and drywall screws, she’s ready for action again. 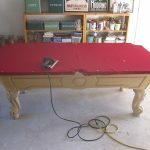 These pics I took are from the home of the new owner of the pool table.